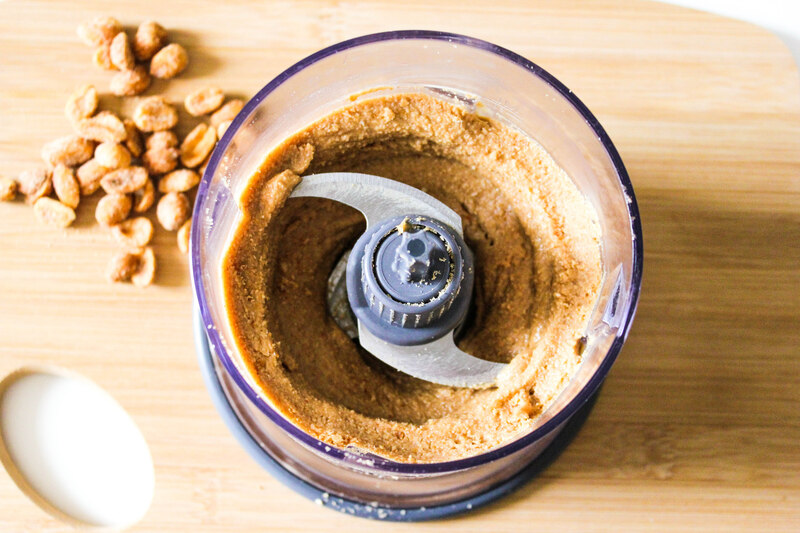 how to: make homemade peanut butter. hey everyone! i’m looking for some ideas for new recipes using peanut butter. leave some suggestions or links with your favorite ones! ok, let me show ya how peanut butter is done. i tried to see how long i could go without eating it a few weeks ago. i lasted less than 4 hours. who was i kidding? for all my recipes, i typically use Jif Creamy. i grew up on Jif. it’s the bestest. recently, however, i’ve been making my own peanut butter. 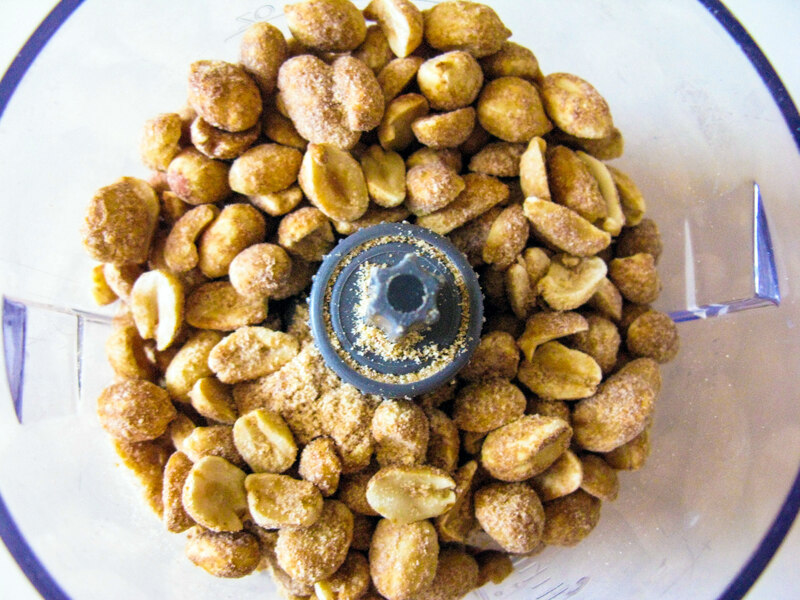 Add peanuts in the bowl of a food processor with a blade. Process until the nuts go from coursely chopped to finely ground. Stop and scrape down the sides as needed. 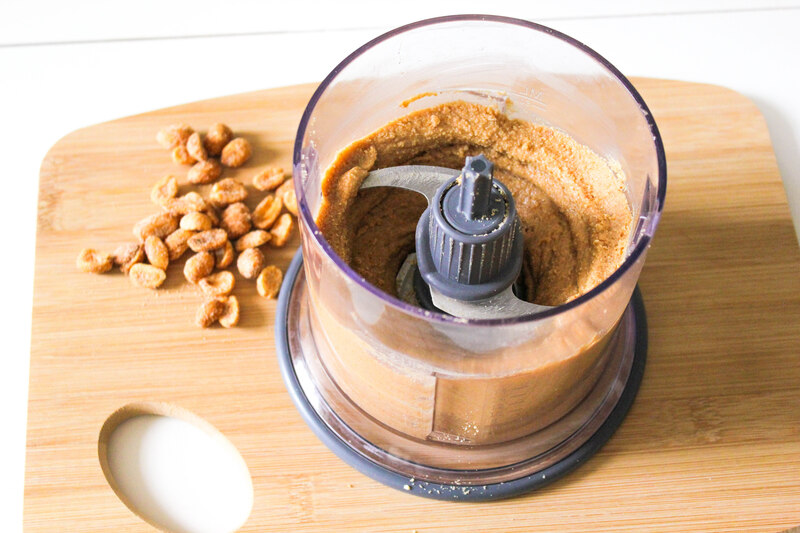 Process again until the peanuts resemble a thick and relatively smooth peanut butter. * if you have a good food processor like mine, this whole process will only take about 4 minutes. 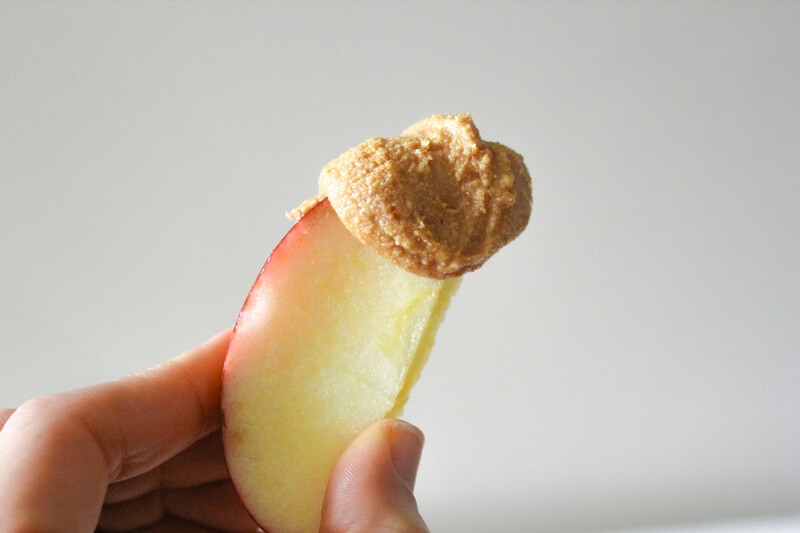 * you may add 1-2 tablespoons of a neutral tasting oil (canola oil, peanut oil) during the blending process to make the peanut butter is extra creamy. This depends on your taste preference and/or if you are concerned with calories. I think we have the same blender! i swear by this blender/food processor! But when i do I love to do the chocolate cupcakes with a peanut butter topping. Pretty classic. But i’m pretty sure anything covered in peanut butter would taste delicious ! great movie! and i LOVE your idea of peanut butter covered chocolate cupcakes.. nothing’s better than peanut butter & chocolate! I can’t wait to try this 🙂 I love this Bakerella recipe. Mmm Mmm mmm! They are such a perfect blend of peanut butter and chocolate. ok Lizzie, i’m in love with this cookie recipe. i’m actually saving the recipe right now because i’m totally making them as soon as possible. yum! THANK YOU! I love that in four minutes you have this glorious PB to show for the time spent! Best use of 4 mins ever! 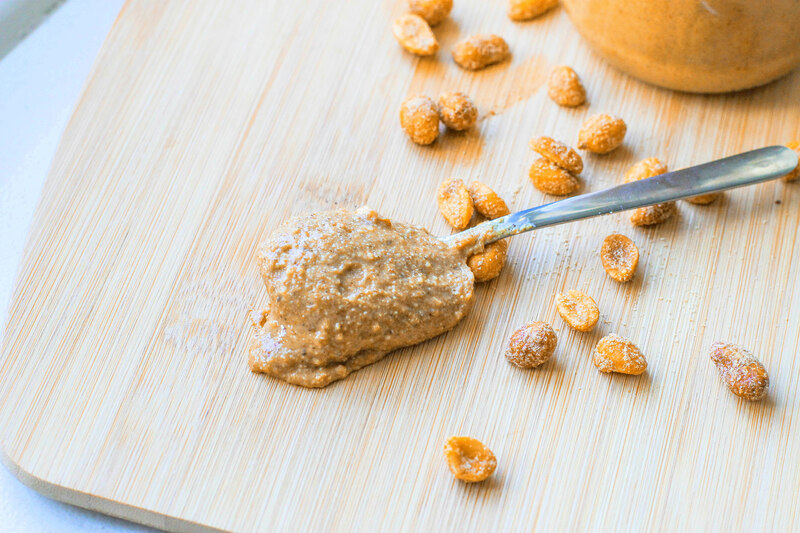 Love the idea of using honey roasted peanuts to make peanut butter! YUMM!! I don’t think I’d be able to stop eating that stuff. Recently I made Pecan Butter which is delicious!! Here’s the link: http://digintobooks.wordpress.com/2012/04/02/pecan-pie-butter/. I too add chocolate to my peanut nutter… sometimes I even take a dark chocolate bar and dip it straight into the pb jar. Yum! Thank you for sharing! Ahhh butter! Not nutter… But nutter butters on the other hand are good too. 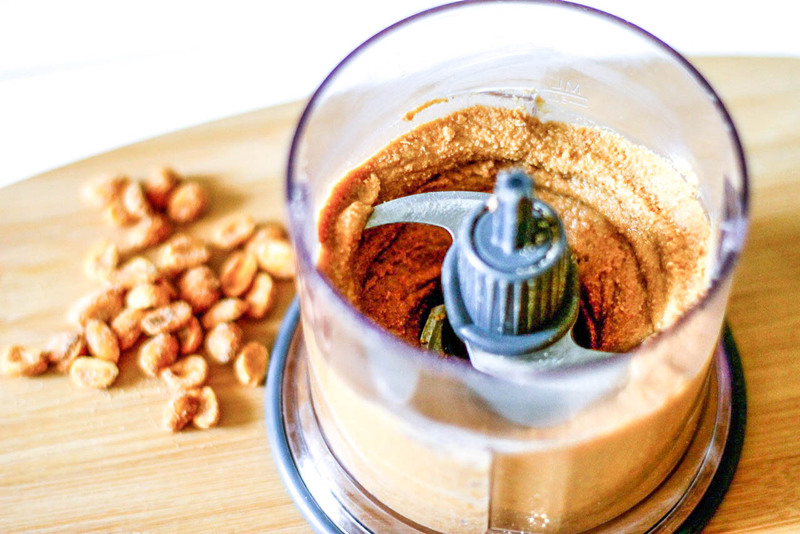 I love to make my own peanut butter, almond butter and cashew butter when I go to gourmet grocery stores that have the machines that grind the nuts for you. Fun, fresh and delicious! 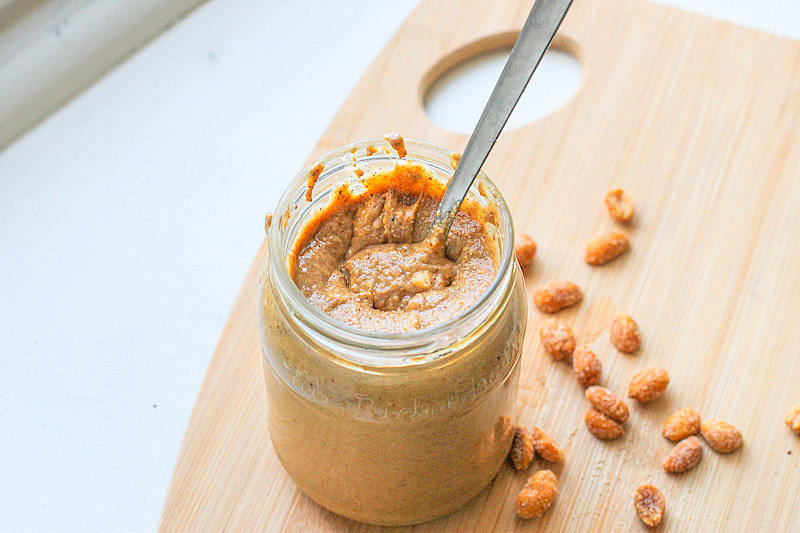 i’d love to try homemade cashew butter! maybe next time. 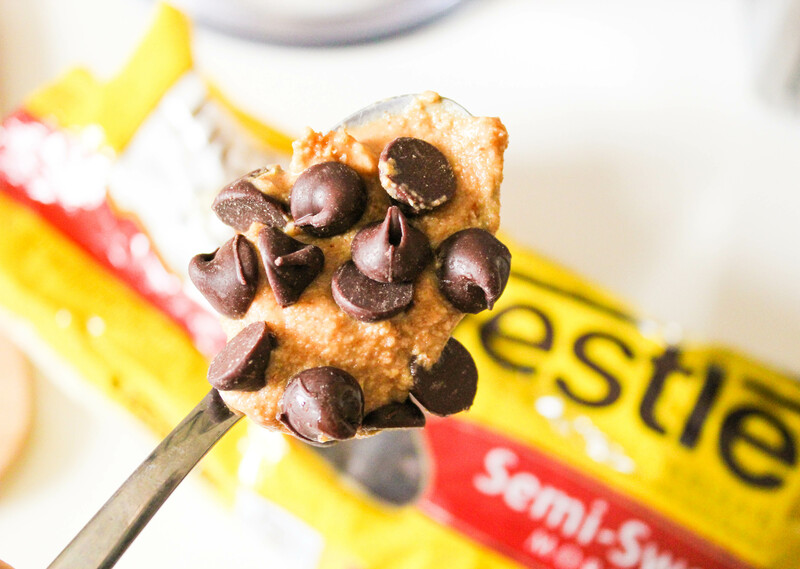 You should make peanut butter cups! Or peanut butter pie. Or peanut butter cookies. Heehee. I love peanut butter too! I go through stages where I can’t get enough and then I don’t eat it for a few days then I can’t get enough again. Excellent post. I was checking constantly this blog and I am impressed! Very useful information specifically the remaining part 🙂 I take care of such info much. I used to be looking for this particular information for a long time. Thank you and good luck. Wow – I never knew it was that simple. I’m definitely going to give this a try. your peanut recipes look fab! just saw this on FG! congrats! BTW I dont get comment replies from you unless I come back and actually check your site. If I check the notify box, I get comments/comment replies from everyone. I have made this twice in two days! The first time I used Trader Joe’s honey roasted peanuts and the peanut butter was WAY better than the second time when I used Target brand. Still delicious but I recommend high quality nuts! VERY good to know! i’ve only used higher quality nuts when i’ve made the peanut butter and now i’ll remember that’s the way to go.